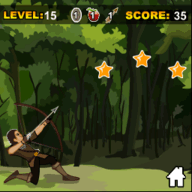 Mobi Archer free download for Symbian s60 3rd and 5th edition. Arcadeby: Nokia GermanyDescriptionJump with Bounce through a big fancy world. Get better level by level and finally try to beat the last opponent. Arcadeby: Twist MobileDescriptionInfect with happiness to everyone. Drag and shoot the characters to boring/sad/angry faces to make them happy..
Arcadeby: East InnovationsDescription"Game with full of Action, Thrill, Mystery, Romance and more!! Mission is to save your Babe from dirty enemies and you can WIN a Sexiest girl after getting through each level. Gift Gallery to Cherish the beauties. Arcadeby: IllusionistsDescriptionThis is the free version, but if you want to donate, you can download Donate version from http://store.ovi.com/content/242237. Thank you verymuch ^^. Arcadeby: Connect2MediaDescriptionThis content has a time-based free trial which provides the user with free access to the content for a limited time period.